So much has happened for Warren Tales in the last two months, that I (clearly) haven't even got around to telling everyone about it. The biggest news is that—along with the Long Beach Patchwork Show, the Los Angeles Renegade Craft Fair, and Coronado's local Artisan's Alley—I have been accepted to exhibit at the 2014 National Stationery Show in May! Obviously, at the news of attending the National Stationery Show, I was encouraged, inspired, clear-headed (read: quaking in my unintimidatingly small boots, considering whether I could fit in the gap beneath my bed, and utterly indecisive about whether it was a good idea). I was understandably unsure, but decided I have what it takes to push forward (forgo almost all sleep) and give it my best shot. As I buckled down into extensive research, designs, and budgets—feeling better about the chance of a looming disaster—I meandered into an announcement for Tradeshow Bootcamp's phenomenal Paper Camp seminar course, and what? A scholarship opportunity. 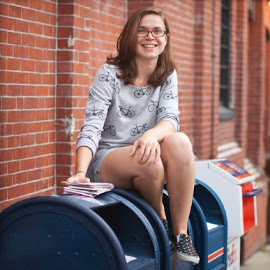 I had heard how invaluable a TSBC course was in preparing to enter the stationery scene, but I had no idea just how perfectly they had crafted their curriculum (no pun intended...) for everything a start-up needed. I applied at once, but went back to my research without thinking much would come of it. So imagine my surprise on Halloween when I get a treat of an email in response and realize I should have dressed up as a soldier: I had won the Bootcamp scholarship! In the last few months, I've achieved significant goals in my aim to bring Warren Tales to a legitimate and competitive business level: including (but not limited to) executing necessary licensing and tax law requirements, ongoing development of a successful product line, and creating an all-inclusive e-commerce website (check out the beautiful new www.warrentales.com site!). 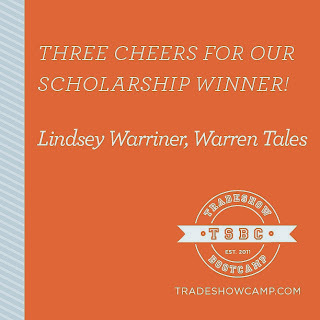 I've been accepted into retail fairs, a national tradeshow, and now a program to pull it all together and really give Warren Tales a shot. I'm flummoxed and beyond grateful for all of the support, patience, and encouragement everyone has showed me, and I thank you all so much for sticking through it all with me so far. Warren Tales is an independent paper craft studio, producing original products from stationery to limited print publications. Over the past two years, Warren Tales has matured from a passion to an enterprise, and continues to grow as it transitions into a wholesale endeavor. After a lifetime of finding, folding, making, and molding any paper I could get my hands on, I was struck with the cockameme idea of going into business. My greatest influences can all be accredited to innate dexterity, my Mother's insistence on recycling, and my Father's fabulously (terribly) punny sense of humour; all of which shaped me into the bowler hat-wearing Warriner (etymology: "rabbit keeper" . . . get it) you see today. With an introductory background in marketing and publicity, and previous NSS attendance (as an observer) at the front of my mind, I feel that Tradeshow Bootcamp's Paper Camp is the perfect program to turn research and practice into applicable success. I am looking to learn how to be efficient in production and marketing; effective with design and placement; and sustainable in business growth. While I aspire to secure retail placement in independent gift and book stores, I would consider it a marker of true success to be distributed by Paper Source, as it reflects the interests and spending preferences of a mass market. As a former employee of Paper Source, I am familiar with featured stationers and the exposure (and awards) they have since achieved. I like to design new stationery while exercising on my stationary bicycle.